Hi! 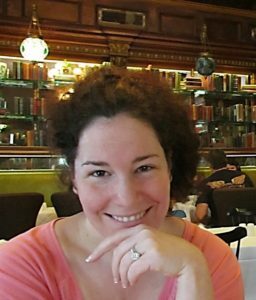 I’m Gina of PerfettoWritingRoom. Special thanks today to Minds in Bloom for co-hosting this article! It is one of the very best blogs on the block, if I do say so myself. 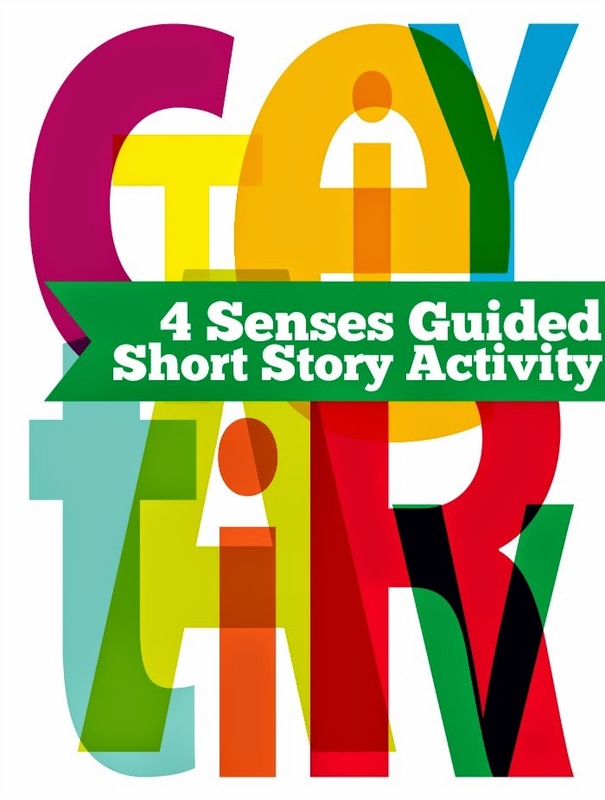 My most inspired writing project is a freebie I’m sharing with you today: 4 Senses Guided Short Story Activity. Calling it a prompt isn’t fair. Truly, it is an EXPERIENCE that is mysterious, delightful, sometimes frightening and, at last, enlightening. For this reason it challenges each student on their own personal level. 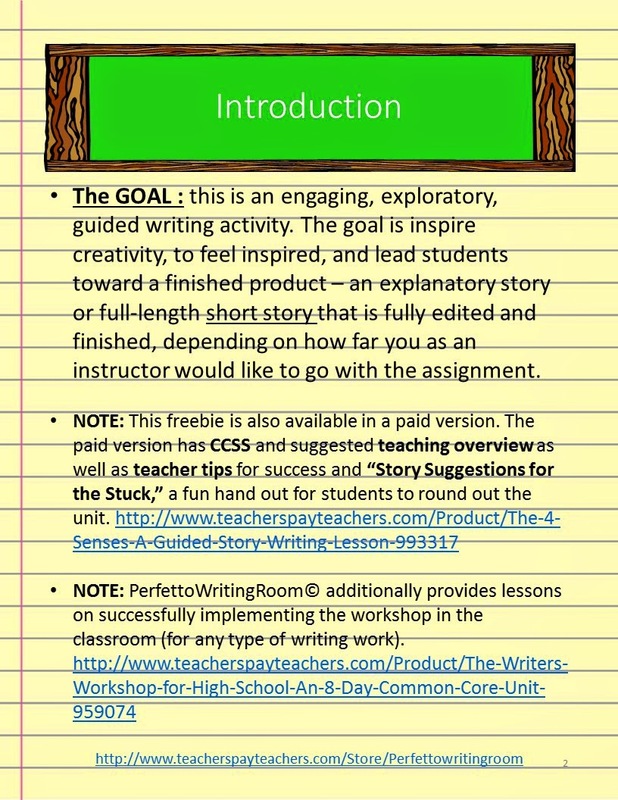 Whether a student is in 5th grade or 50 years old, this can be a critical writing experience for all. TIP: Students can each bring an item to class, or you can bring in an item. The more planes, shapes, weights, and dimensions these items have, the better. Small boxes with other items inside, natural elements, or differing textures all open up different levels for writing. When students enter, they must NOT sit. Rather, they will all walk around their desks, placing their hands inside each bag, quietly feeling the contents of each bag. No talking or peeking inside! 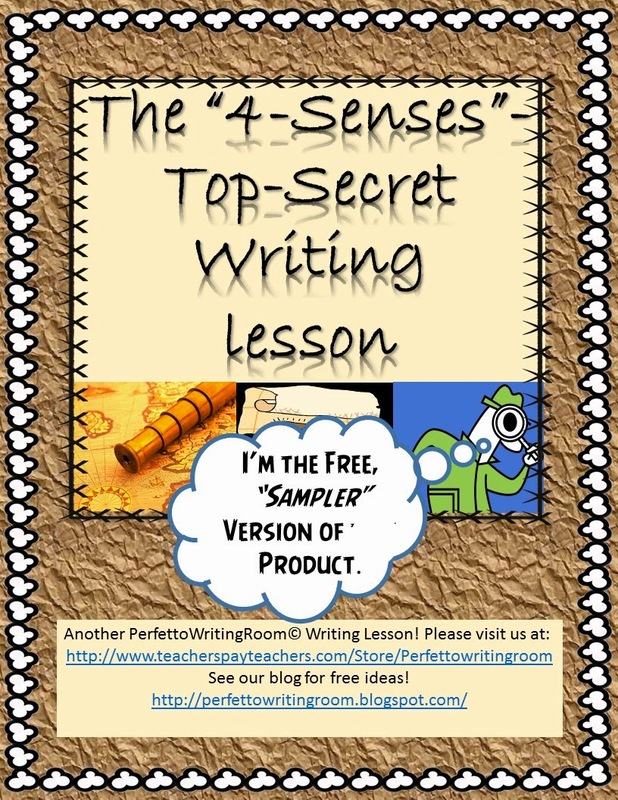 Each student must choose the item they think would be the most interesting to write about. The mystery of the entire endeavor is what piques students’ interest. Once each student has chosen, they will sit down with the bag and the item STILL safely inside. This means they can weigh it, feel for texture, knock it on the desk, roll it around, etc. It does in fact require a new way of thinking, especially NOW that they cannot use their eyes. This is descriptive writing and critical thinking. Our freebie has options that go up to the letter “N.” Of course, you could always come up with your own! The student goal is to write a story using one of these options. The story must have characters, a goal, plot, dialogue, etc. Students will get at least to the beginning of step four by the end of the period. For homework or on day two, have students write a story and then share! I hope you enjoy this free resource. I know your students will. Feel free to pick up your copy and like or rate it! I’m Gina, of PerfettoWritingRoom. I love writing, I love to teach writing, and there is nothing I love more than to see students’ faces get that “aha!” moment when they’re inspired with a unique idea that is all their own. And if you’ve ever felt the crushing agony of defeat that follows a failed writing prompt, you might just be tempted to read on a little further. 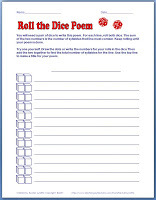 Writing across the Curriculum 8 Fun Things to Do with Idioms Make Journaling Fun with Washi Tape and a Straw Utilizing Pop-Up Books to Engage Your Student Authors Write a Poem by Rolling Dice! This is a great activity, but Step #4 turns it into a fantastic-surprising-amazing experience!! Pure genius! I can't wait to use this in class!